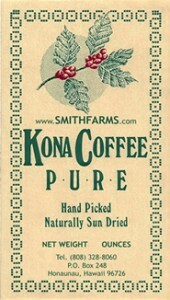 Smithfarms 100% Pure Kona Coffee | Established in 1988 and on the Internet Since January 1999! SMITHFARMS welcomes you to try our 100% Kona coffee. 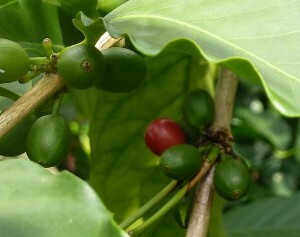 Our Coffea arabica, var. typica trees are happy and healthy and most are over 125+ years old! Still vigorous and beautiful Our trees are the heirloom real Kona Coffee, absolutely. is as good as Kona coffee can be! 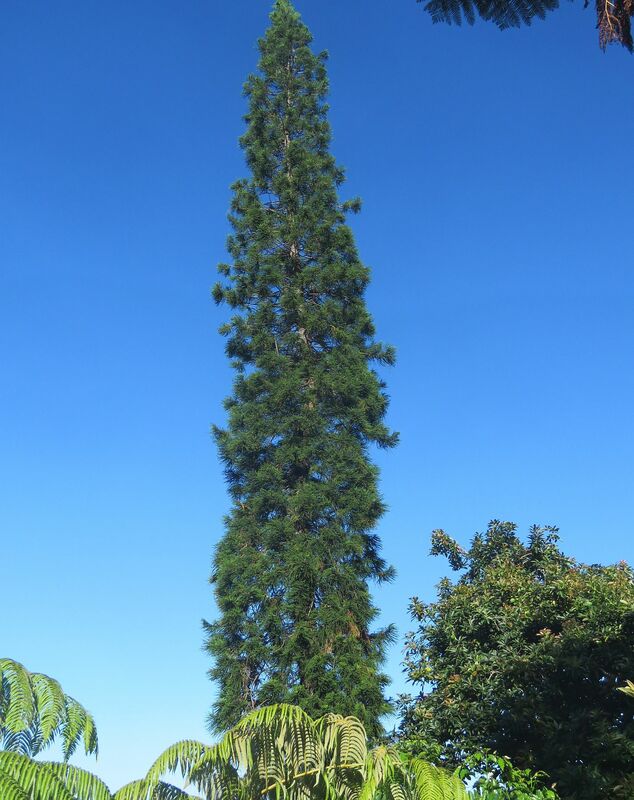 Bob has enhanced our practically perfect natural conditions through individualized attention to each tree. He is able to give our trees this specialized care because of our 5-acre size. Honestly– he really loves all of his trees.Think it shows up in the cup. We are sustainable farmers who do not use any insecticides. We are meeting our needs while considering the needs of future generations that will farm this same land. 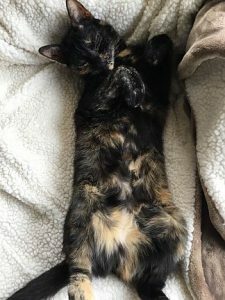 The humans—Bob and I, Cea, live on the farm in our house and are the growers, pickers, and packers, selling our entire crop directly to people who enjoy our unique products. We hand farm our land, using no machinery, continuing the ancient tradition of hand farming by Hawaiians who grew taro, bananas, sweet potatoes and sugarcane in our same fields. 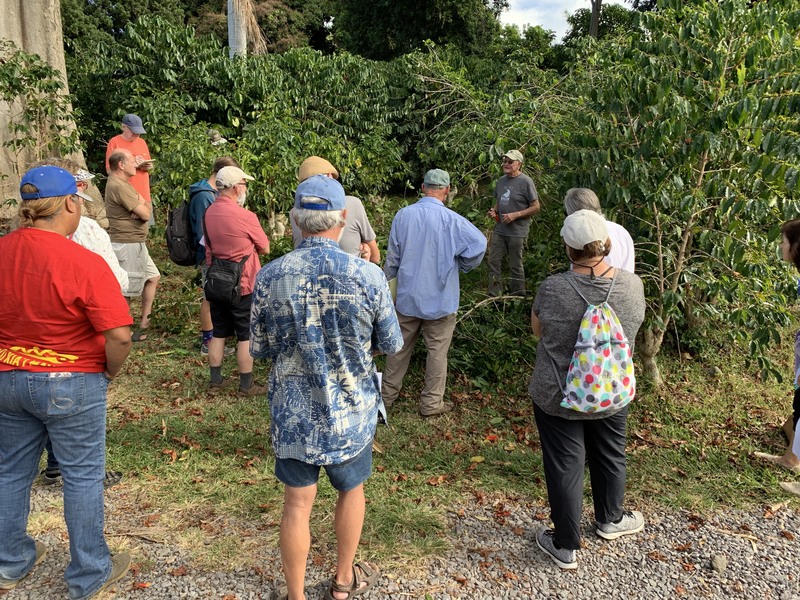 it takes about 300 ripe coffee cherries to total a pound of fresh coffee and it takes about 7 pounds of fresh coffee cherries (2100 coffee cherries!) to get 1 roasted pound of coffee for you. 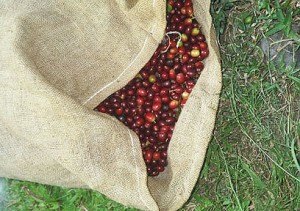 Each coffee cherry is picked one by one, by hand. Truly awesome Taste! & Aroma!!! sweet, creamy, chocolaty, sparkly & all natural! and …it can be yours easily! 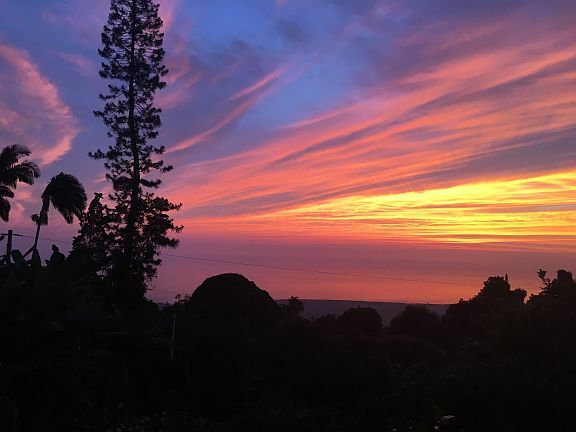 Our Smithfarms farm is found high above historic Kealakekua Bay and overlooking the ancient Place Of Refuge in the district of South Kona on Hawaii island, the largest, and most southern of the 8 main Hawaiian islands. Captain Cook first landed in 1779 at Kealakekua Bay, below in the distance. 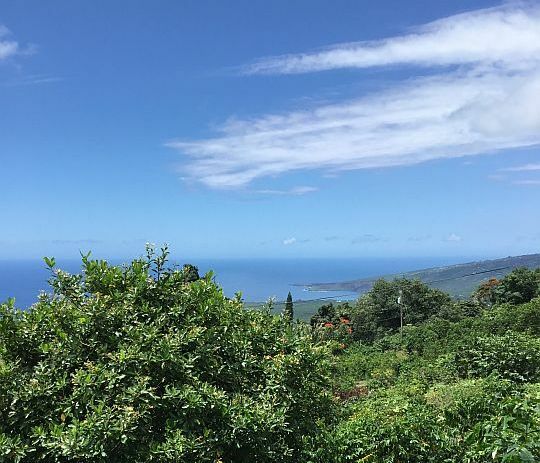 SMITHFARMS is a 5 acre Kona coffee whose farmers are dedicated to the conscientious care of the earth and its bounty. Indeed. 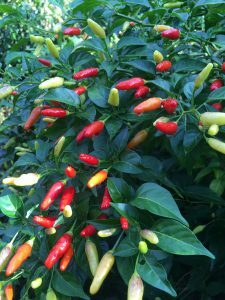 We have natural shade grown 100% Kona coffee and we use no chemical insecticides ever. Our SMITHFARMS land has been hand farmed without any machinery ever. We have pre-contact stone walls, hand built by Hawaiians. No bulldozer has ever crushed our earth. The roots of our coffee plants can go anywhere they want in our light volcanic soil. Makes them happy coffee trees! The equipment: a basket, pair of gloves, (lots of…) time in the fresh air …..
and the great result… Smithfarms coffee fruit in a basket! What makes our Kona Coffee farm so special? It is really just us, with Bob doing the hard farm work daily and both of us working along side our pickers every picking day. I manage this web site and do other smithfarms-office type stuff. We are the sole packers and the pruners and roasters of our Smithfarms 100% Kona Coffee. Two mortals trying to do the right thing. 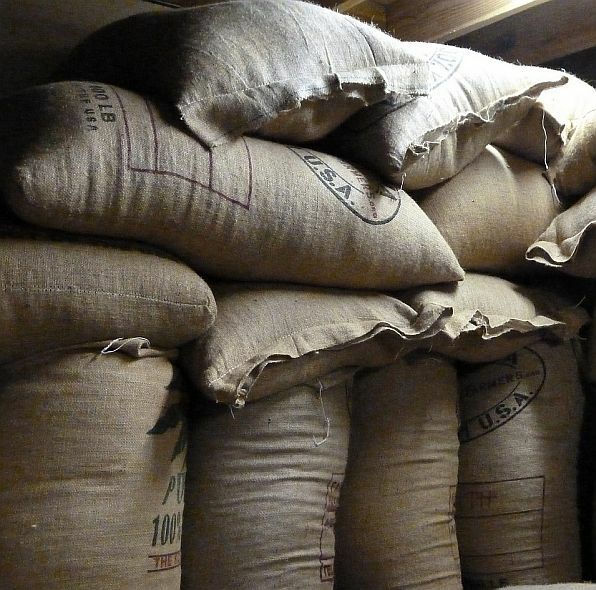 We can supply you with the finest 100% Kona coffee there is and we are confident about that. Smithfarms is farmed by sustainable farmers (definition: meeting the needs of the present generation without compromising the ability of future generations to meet their own needs by doing the same thing on our land). Bob is conscientious about the care of the land and would never jeopardize it. We are a fairly traded coffee (definition: non-exploitive toward the farm, farmer or the workers). We live in America, too. A cup of naturally sweet Kona coffee that will never be forgotten, Creamy smooth, with that Just-before-chocolate taste! Mild mild in acid and just awesome awesome in flavor. said a renowned coffee reviewer after tasting our coffee. We offer an extremely SECURE ORDER FORM and website. We use RapidSSL by GeoTrust to protect you– always. 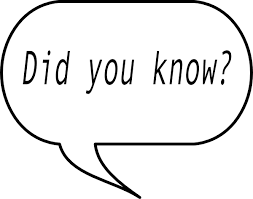 We never have access to your entire credit card information ourselves, (various sections of the numbers are stored on various servers to protect you) . Please create an account for yourself if you want to order again and make it easy on yourself. We never allow anyone else access to the names of our customers and we never solicit a gift recipient – ever. 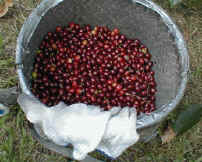 Smithfarms Coffee Cherry fresh picked Isn’t that beautiful? The end of a picking day. 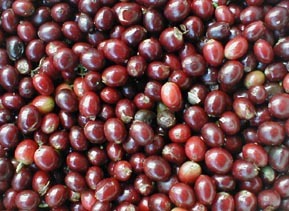 We selectively hand pick each coffee bean so that only the ripest, reddest fruit is chosen. 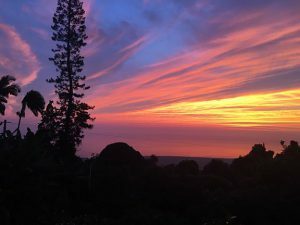 We then carefully wet-process our coffee in lots of fresh volcanic aquifer water and then every Smithfarms Kona coffee bean is put out in our warm Hawaiian sun to bask/sun bathe with de-light while our tropical breezes gently dry them to perfection. 100% Kona Coffee PURE which is Freshly Roasted, extraordinarily Aromatic, Sweet & Delicate & Naturally Gourmet! April- Pruning done, plants starting to grow, fertilizer soon and all is well!